This story was updated on May 24, 2018 because a new eight-core, 16-thread Intel CPU entry has appeared on the SiSoft database. Earlier this week two likely Intel eight-core CPU candidates appeared on the SiSoft Sandra database, running at 2.6Ghz and 1.7GHz, however, the latest entry shows an eight-core CPU, combined with what is likely a Z370 motherboard, operating at 3.1GHz. That’s still a considerable clockspeed drop from the current eight-core Skylake-X i7 7820X, which runs at a base clockspeed of 3.6Ghz and can boost up to 4.5GHz, but does indicate this potential Coffee Lake eight-core is being put through its paces at higher frequencies. Want the very best Intel CPU for gaming? Here are our top picks. SiSoft entries also don’t always play nice with early engineering samples, and these early benchmarks are likely using engineering samples for testing performance across the 22nm (Kaby Lake PCH-equipped) Z370 and 14nm Z390 chipsets. Despite that Kaby Lake reference, there’s pretty much zero chance that the eight-core chip will be backwards compatible with the Z270 platform – seriously, don’t get your hopes up. With Intel’s track record this move would nullify the reasoning Intel gave for the lack of compatibility between Coffee Lake and Kaby Lake chips when they first launched in October last year. So, even if this were possible (which modders seem to have proven somewhat), it seems incredibly unlikely to stick around for the finished product. 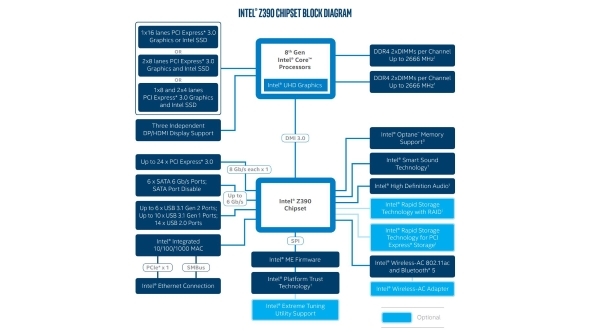 The Intel Z390 chipset, set to launch close to, or alongside, the eight-core chip will utilise the 14nm process, and offer native USB 3.1 Gen.2 support. This will complete the Coffee Lake lineup on 14nm, with only the Z370 remaining on the 22nm process and older chipset. Rumours suggest the Z390 motherboard may be compatible with future Ice Lake 9th Gen Intel processors – but where does that leave the Z370 and early adopters? Back to the benchmarks, however. The two entries uniformly feature 256KB of L2 cache per-core, and a grand total of 16MB of L3 cache. That’s still 2MB per-core as it is on the six-core i7 8700K. Apart from that, we can’t discern much else from the listings themselves apart from the fact it’s a HyperThreaded octa-core with 16 threads. Naming is also a mystery. 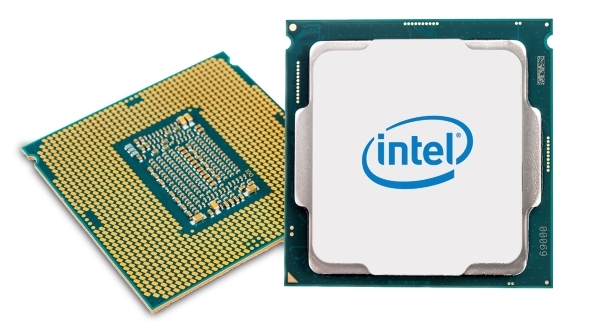 An 8th Gen Core i9 is the current favourite for the eight-core chip, however, a Eurocom representative suggested in April that Intel might launch the chip with the 9th Gen. The Z390 chipset is expected to launch in Q3, 2018, with the eight-core processor expected soon after – after all, it’s pretty much the only excuse Intel has for launching a new enthusiast motherboard so late in the day for the Coffee Lake platform. Z390 motherboards, at least, may make an appearance at the start of June for Computex.